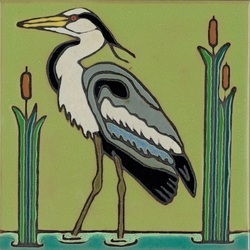 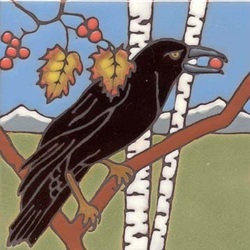 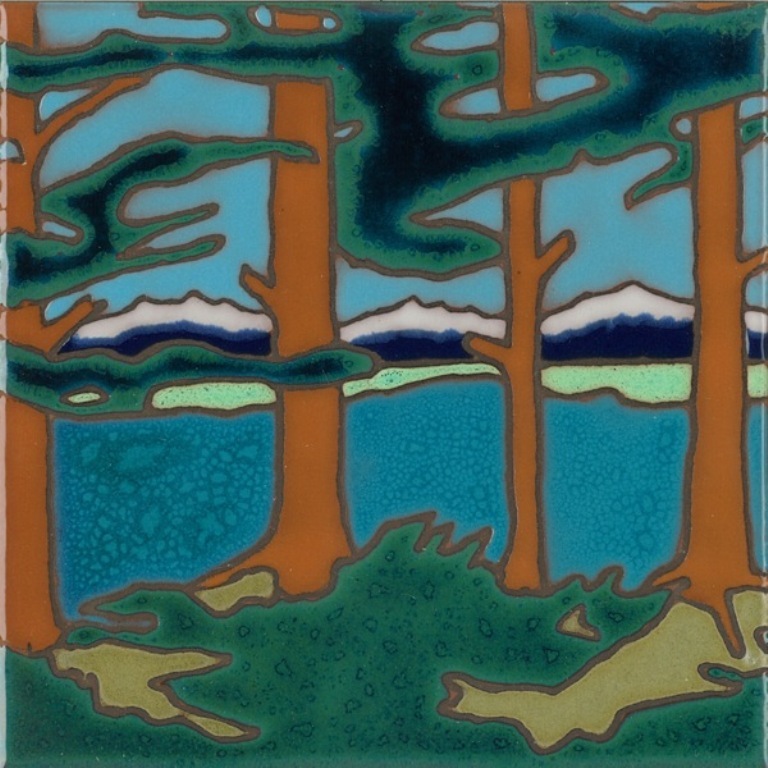 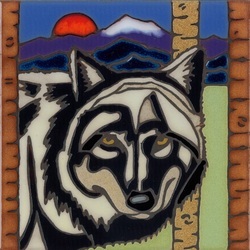 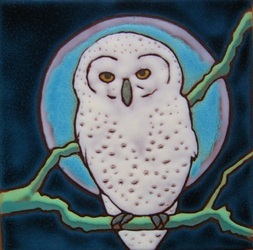 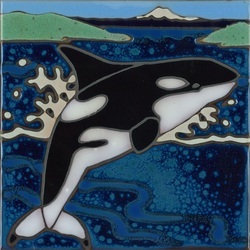 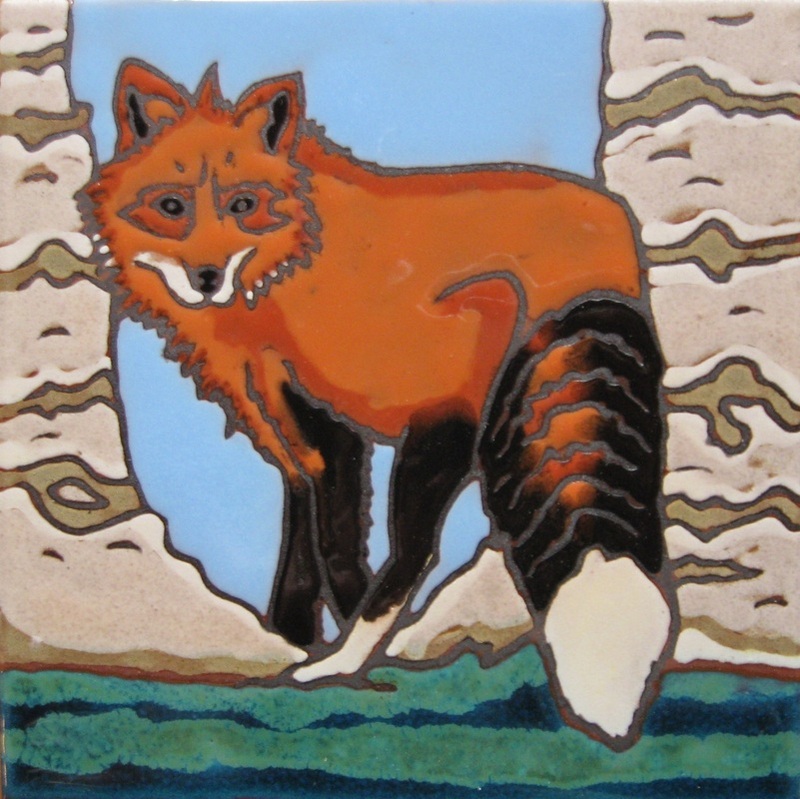 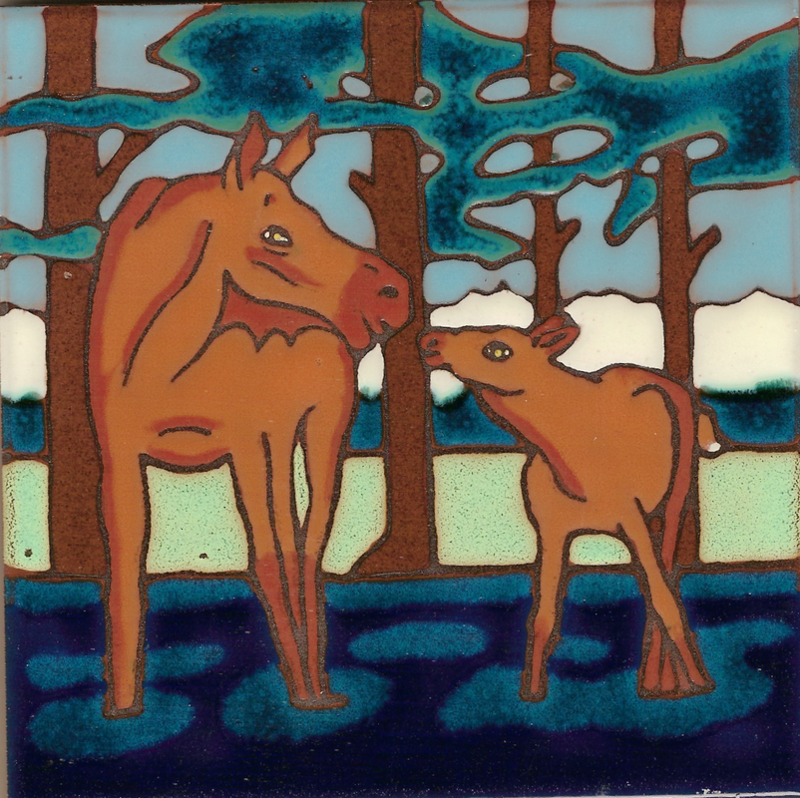 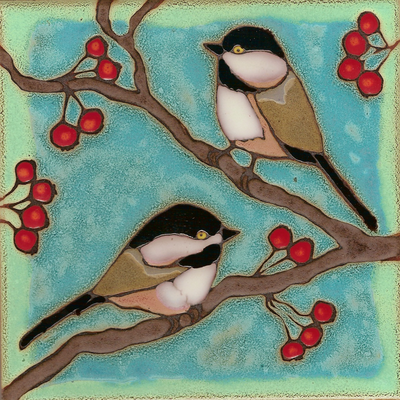 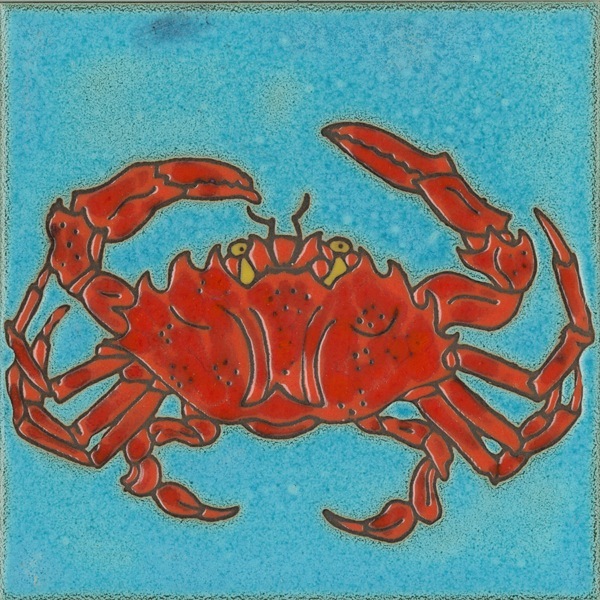 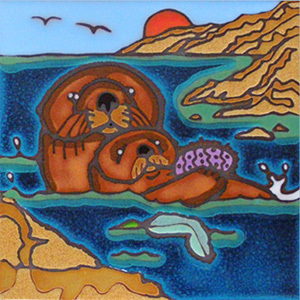 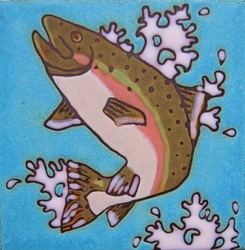 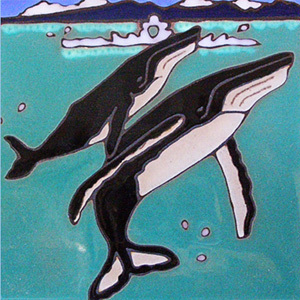 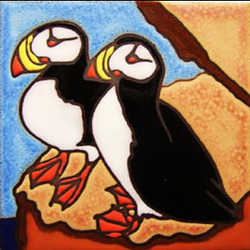 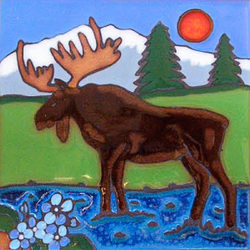 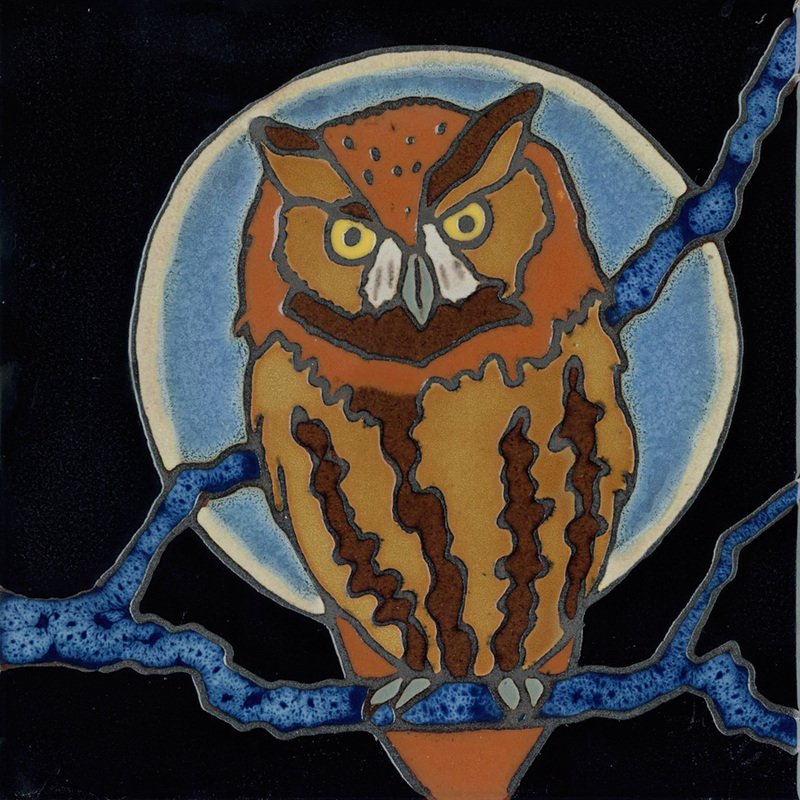 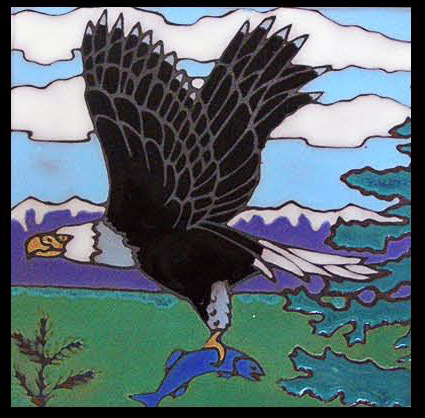 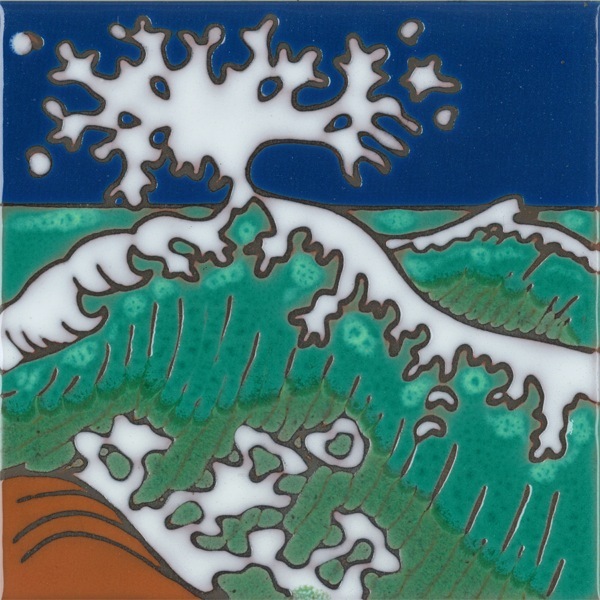 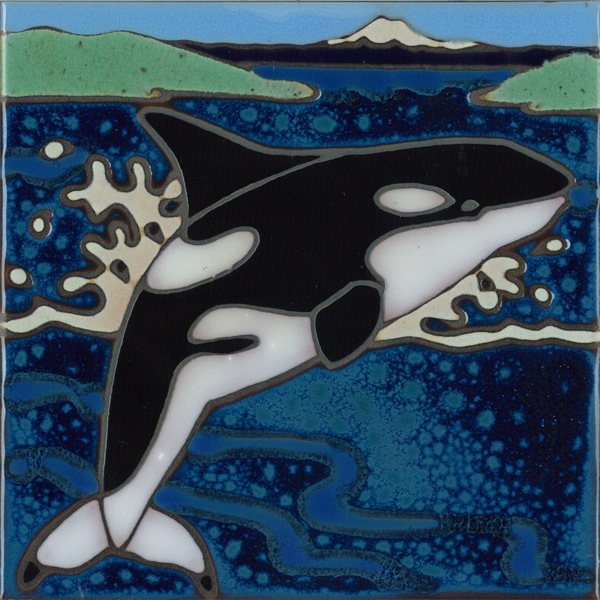 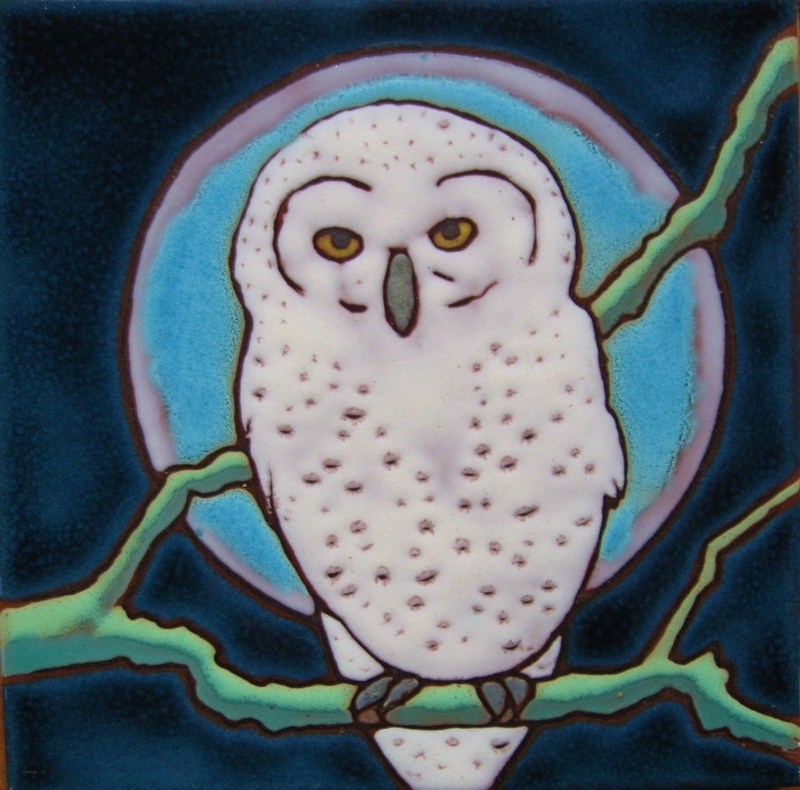 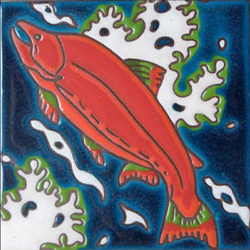 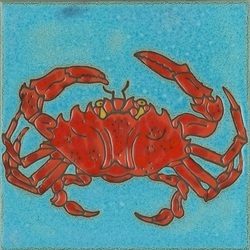 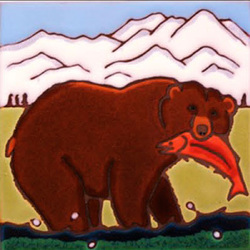 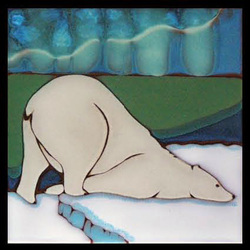 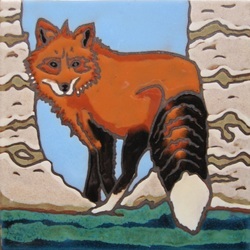 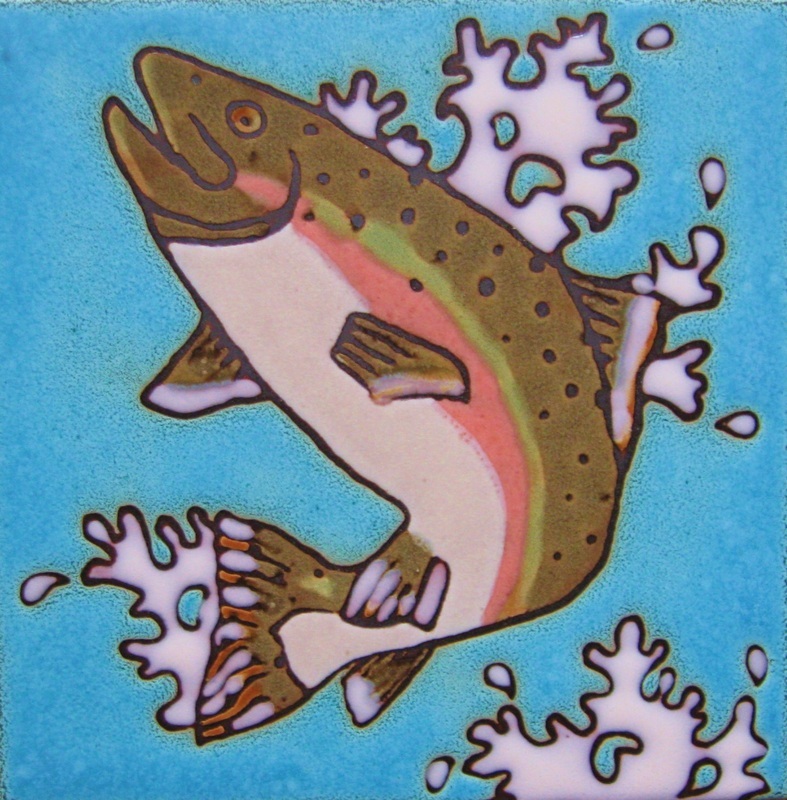 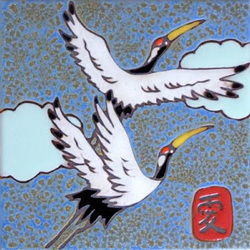 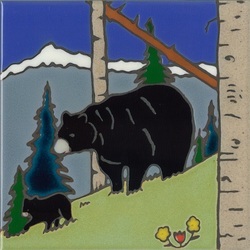 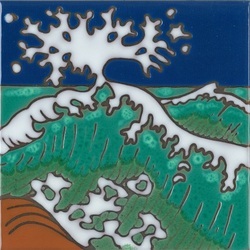 Pacific Blue Tile - Karen Sobolesky & Co.
From the Artist: These ceramic tiles are all our own original designs (all 175) which our family has been creating for over 25 years! Each tile is individually hand painted then "fired" in our kiln to 1800 degrees, until the luminous, jewel-like colors emerge. 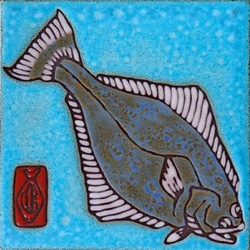 For you to enjoy as a painting on the wall or as a useful hot plate in the kitchen.